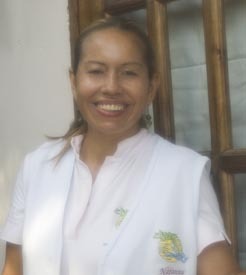 Fanny Yaneth Lampe was born the 15th of July of 1964 in a small and peaceful village in Colombia. With an education in hotel administration, Fanny moved to Aruba in 1992 and has worked in several different resorts on the island. Please call or email to find when the next class will begin. Nafanny Spa is open daily from 8:00am to 8:00pm.